Today WordPress rolled out WordPress 5.0 “Bebo”, which brings in revolutionary updates to the WordPress and it users. For the users,WordPress traditionally has a simple WordPad (yeah Windows) like backend, technically known as TinyMCE or Classic Editor, that is being replaced with new Block Editor. 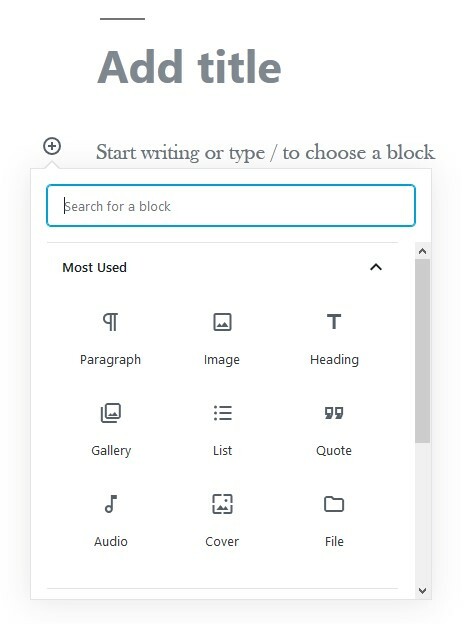 Our new block-based editor is the first step toward anexciting new future with a streamlined editing experience across your site.You’ll have more flexibility with how content is displayed, whether you arebuilding your first site, revamping your blog, or write code for a living. New Block Editor was earlier available as a stand-alone plugin Gutenberg, and differs drastically from familiar traditional approach. The interface is more like a blank canvas, with provision to arrange various elements, called ‘Blocks’, each block has a functionality, like Heading, Paragraph, Image, Gallery, Inline image, List, Quote, Audio, Cover, File, Video, Code, Custom HTML, Preformatted, Pullquote, Table, Verse, Button, Columns, Media & Text, More, Page Break,Separator, Spacer, as well as widgets & a dedicated embed section, which clears a long time need to embed contents in WordPress. Few of these functionalities, were exist in older editors,few of them have been separated in to dedicated blocks (e.g. image, cover &inline image) and for remaining functionalities, plugins were opted, earlier. New Block Editor streamlines all those requirements and let us focus on the content. At first impression it appears minimalist & sleek, it has some learning curve to get adapted to it, but it’s fun indeed. There are subtle improvements like, a sleek animation while going for preview, provision to move the block up and down without drag-drop/Cut-paste, are indeed handy. I have noticed some space issues while copy-pasting from MS Word, I expect it will get resolved in coming updates. WordPress has many page builder & plugins, which help in enhancing the content creation experience, and there are chances, that some specific plugins may not work well with this radical update. There may be a chance of content getting disturbed or uneven. If your site is victim of these rare cases, there is a very handy way to sort it out. WordPress community has made a plugin, Classic Editor available on WordPress Plugins Repo. If you do not wish to opt for new Block Editor, install this plugin,and then under user profile section, select, ‘Classic Editor’. And you are back to your familiar territory. 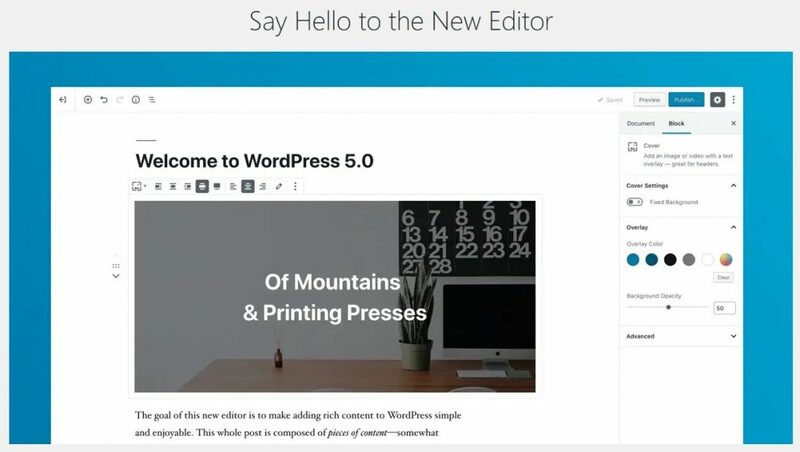 Also, Smashing Magazine’s take on new WordPress editor here. Feel free to contact, if you want to know more, discuss or need help in transitioning.